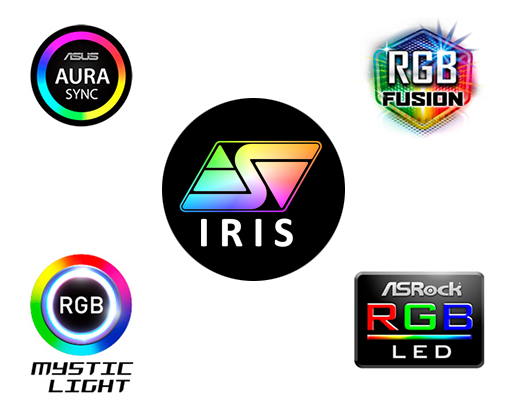 The IRIS MB Link is a hub for Addressable RGB LED's that allows any IRIS compatible Swiftech product to be controlled by motherboard with Addressable LED support, such as: Asus' AURA, MSI's Mystic Light, Gigabyte's RGB Fusion, and many more. With the release of our second generation X2 AIO's in 2016, we started using WS2812 addressable LED's. This type of LED's differs from regular RGB LED's by the fact every single LED in a strip or array can be programmed and addressed independently using serialized data streams. As a result, advanced lighting effects can be created or customized with endless possibilities. Since then, a number of motherboard manufacturers have implemented this technology and as a result Swiftech's products are now directly compatible with any motherboard using WS2812 LED's. In order to check if your motherboard is compatible look for a 4-pin header labeled "addressable" or "ADD". Although, motherboard manufacturers use a 4-pin header, only 3 of these pins are used. 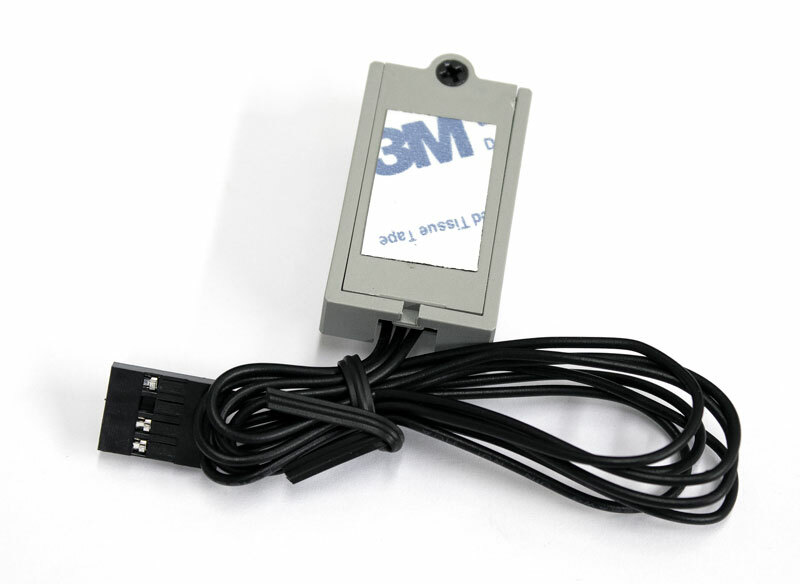 The pins are usually labeled as "V or 5V", "D or Data", "N/A or N/C" for the unused pin, and "GND or Ground" for the last pin. 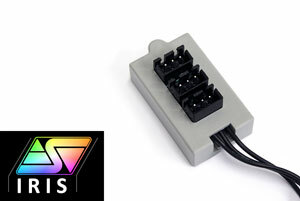 The Swiftech IRIS MB Link comes with a connector with a matching pinout; and on the hub itself, Three Swiftech IRIS plugs (3-pin plugs) are present to connect any Swiftech IRIS compatible product. These 3 plugs are "Data Signal Split" type, which means the data sent through the MB Link adapter will be split every time a device is added to the adapter. Depending on the strength of the signal output by the motherboard you may be able to get one to three devices to work. If the motherboard does not generate a signal that is strong enough you may be able to connect only one or two devices. Because this is only dependent on the motherboard itself Swiftech cannot assure that more than one device can be connected to the MB Link. Based on our internal testing we found that most motherboards are able to handle 2-3 devices. Note about the Helix 120 IRIS fan: Although you can daisy chain several Swiftech Helix 120 IRIS fans, the data signal is split. When connecting the Helix 120 IRIS fan to the MB Link, the total number of devices connected to the MB Link includes all Helix 120 IRIS in a chain. For example, if two Helix 120 IRIS fans are daisy chained, and the first fan in the chain is connected to the Swiftech MB Link, the total number of devices on the MB Link is two even though only one plug is used on the MB Link. 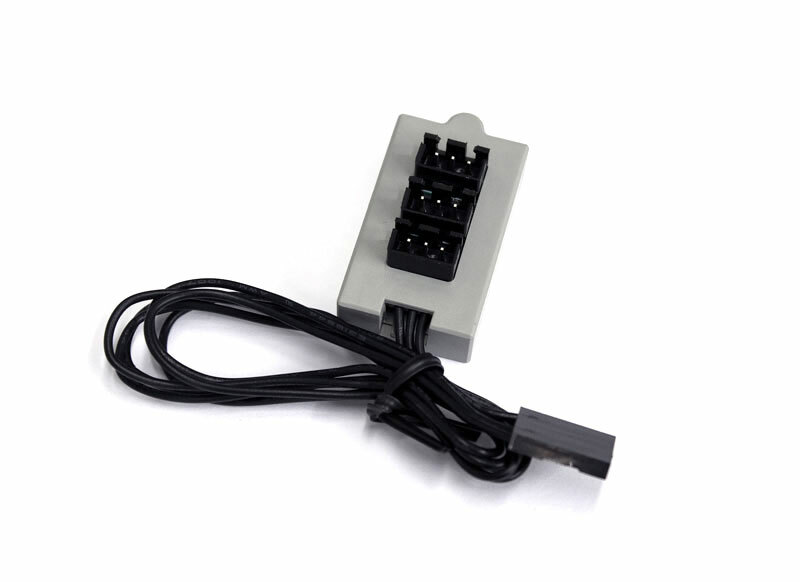 When using the Swiftech IRIS MB Link, the Swiftech IRIS Eco (which ships with all our liquid cooling kits) is no longer needed for light control. Just follow the motherboard manufacturer instructions to install and use their software.